Scandal response from AKP administration to the European Court of Human Rights’ (ECHR) request for Cizre defense. Turkish government indicated that those killed in basements in Cizre should not be seen as ‘wounded innocent civilians that were awaiting medical aid’. 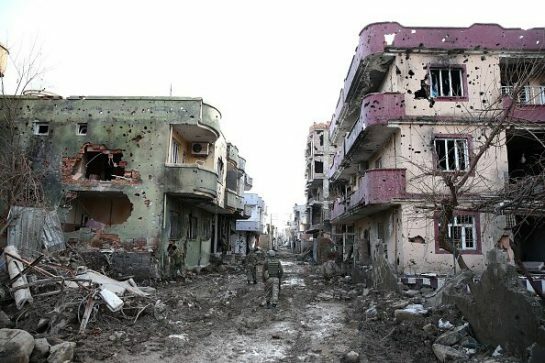 A lot of deaths occurred in basements of apartments in Cizre, a district of Sirnak, on January 7, 2016 when the government implemented curfew times. European Court of Human Rights demanded an explanation for the deaths.